There’s a whole lot of shaking going on in Harlem these days. Well, shaking as per the cool moves made famous by Al B started in the eighties, but now there is a namesake that is catching a lot of the action. 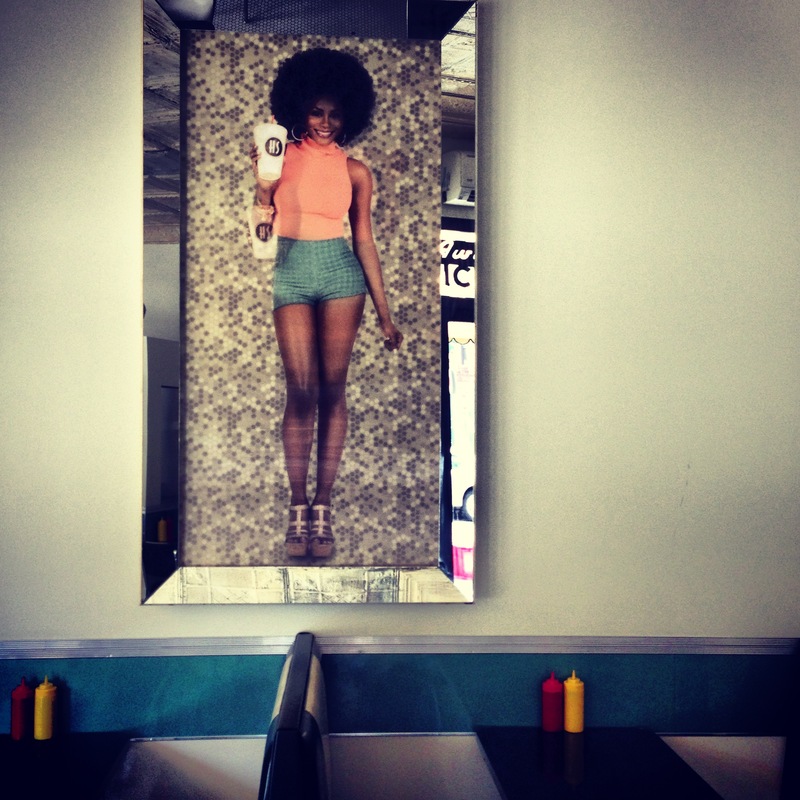 The Harlem Shake opened recently on 124th and Lennox and brings a retro nostalgia to the area. 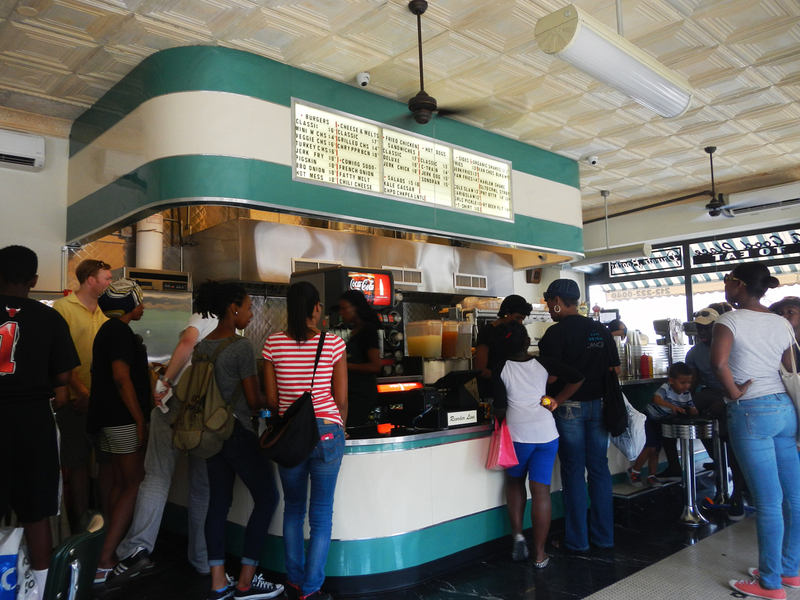 The Queen of Soul Food spot has been taken by Sylvia’s, and Marcus Samuelsson draws big crowds with his chic Southern ( and Swedish ) menu at Red Rooster. Over the road the dusty and sadly demised Lennox Lounge is rumoured to soon become a new Nobu Japanese restaurant, so the arrival of an archetypal diner in the heart of Harlem puts the classic burger back on the map. Even though the decor is new made to look old, the burger is completely authentic American style. The bun is a Martin’s potato roll, soft, and made with Pennsylvania potatoes and cane sugar. 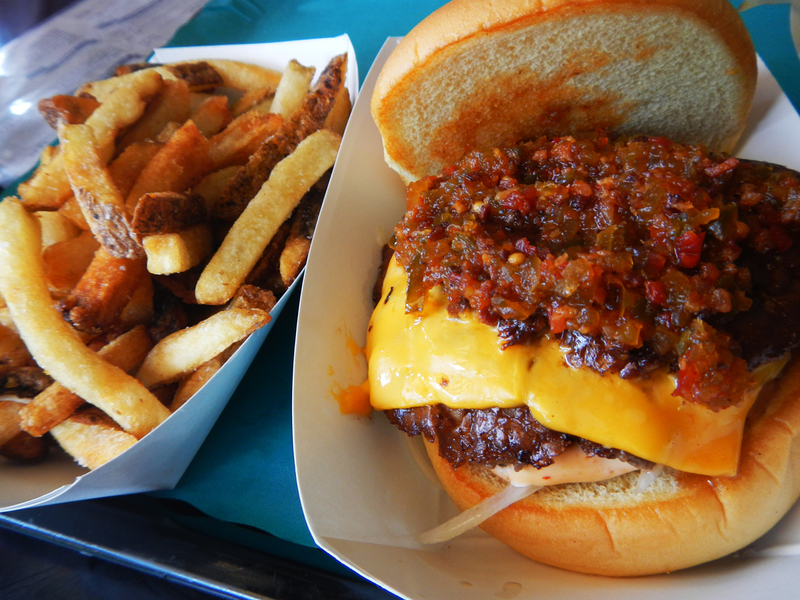 The meat patties are thin and ‘smashed’ onto the grill, and many of the condiments like the spicy pickled relish are made in house. So the burger looks exactly the same as it did in the 40’s, the era that the Harlem Shake recreates. Their sodas carry an even longer tradition. 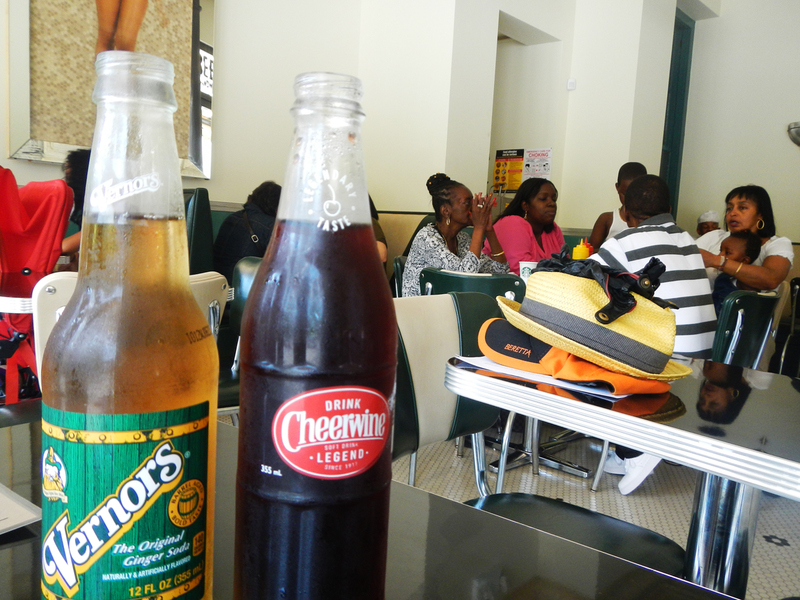 Vernor’s is the oldest surviving ginger ale in the United States ( it has been around since the Civil War ) and Cheerwine has been produced by the same family for nearly 100 years. This is obviously a point of great pride for the owner, Jelena Pasic, who ‘always had a dream to bring culture and food together’. It took her four years to find the spot in Harlem, and detail has been important in connecting with the local community and bringing small iconic producers back into the mainstream. This entry was posted in Food, Uncategorized and tagged Cheerwine, Harlem Shake, potato bread, red velvet shake, Vernor's. Bookmark the permalink. Have to love something called Cheerwine and a burger to go! Not convinced that a cake and milkshake blend would delight my taste buds. Absolutely! I was very skeptical about the red velvet milkshake combo myself, but think of the doors it opens…. lamington milkshakes….pavlova milkshakes….! I think I am getting worried for your health. not at old prices tho? it sounds so calorie laden! and the plastic cheese!